The Kaziranga National Park (KNP) which was bifurcated into two divisions on August 14 last by the Environment and Forest Department of Assam – a move long-awaited and welcomed by the forest authorities and the people – will lead to better management of the World Heritage Site. A report in the The Indian Express stated that up until now, the entire area under Kaziranga was managed by one administrative division: The Eastern Assam Wildlife Division, constituted by its five ranges: Kaziranga (Kohora), Eastern Range Agratoli, Western Range Bagori, Burapahar Range and Northern Range, Biswanath. Now, according to the new “map”, KNP will have two divisions: The Eastern Assam Wildlife (Southern Division) and Biswanath Wildlife Division (Northern Division). 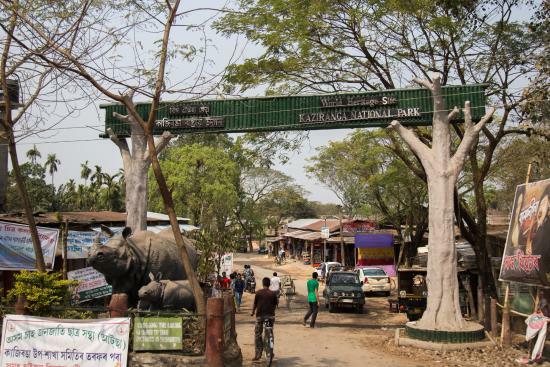 “This also means there will be two Divisional Forest Officers (DFOs) — so the pressure on the current DFO, who sits at Bokakhat will ease off,” says Rohit Choudhury, RTI activist and environmentalist from Kaziranga. Currently, one DFO, headquartered in Bokakhat, looks after the entire area of KNP. “With the Park being split, the Northern Range, covering 401.50 square km, will have a separate staff.” The notification from the Government came on August 14 last and stated that the change was made “in the interest of public service” and “for intensive wildlife management”. In the years leading up to 2013, there was rampant rhino poaching in Kaziranga. “This created a lot of public reaction and despondency. The area under the Northern Range, Biswanath, especially was very vulnerable. We needed good manpower there,” says Bankhwal, who is of the opinion that the Park needs three DFOs at least. From Bokakhat, where both the Director and DFO of the Eastern Assam Wildlife Division are stationed, it takes nearly two hours to reach the northern range. Rohini Saikia, who is the DFO, Eastern Wildlife Division, says, “The move will lead to intensive management — and protection levels will increase. Monitoring illegal activities will be much easier now.” At present, there are 369 staff members, while the sanctioned strength is 528.